When Pao and I started STORM, we thought of a product which people WILL be buying – an online flexible benefits service for companies. There was nothing like it in the market yet. We decided to pursue a FUTURE need, as opposed to coming up with something we knew people were ALREADY buying. When we talked to everyone after, NO ONE wanted to buy our product – largely because people didn’t understand it, and no one was using it. Wet behind the ears, we concluded that we still needed to educate the market sufficiently before we could sell. We had a big problem though: monthly overhead. We only had enough cash for one more month of overhead. From the data, one trend I saw was a need for an employee satisfaction survey. Problem was, we didn’t have any manpower to do this. Pao and I then wracked our brains in a small cafe in the Renaissance parking lot along Meralco Avenue. We decided that Pao needed to come up with an online survey system which we can use to scale processes for a new service. We called the system Websurv. Astonishingly, Pao, finished the system in a month. Our Websurv-powered Satisfaction Survey service kept us afloat from 2005 up to 2008. Around 80% of our revenue would come from that business line, with the other 20% from our very few clients in flexible benefits. Starting 2008 however, the trend would begin reversing itself. We would encounter more and more competition in the survey industry, and it was getting tiring and a drain on resources to sell. Meanwhile, we were getting more and more clients for our flexible benefits line – without doing any marketing to speak of. We were relying (up to now) almost purely on word-of-mouth. As I type this, we have altogether DROPPED the survey service (and all our other business lines), opting instead to go all-in with our initial bet for the future, which was flexible benefits. We are now the current local market leader in flexible benefits, and we’re really really excited with how everything has been developing for us. If you KNOW people will buy your product, it means YOU ARE SEEING that they are currently buying from someone else. This “safer” choice is difficult, because it will necessitate going into immediate war with current competition. This might not be so palatable for startups – which often have a limited budget. It’s like deciding to dive into a densely populated pond as a fingerling. You’ll have a very small chance of getting to be the big fish, plus you’ll always be in danger of getting commoditized. 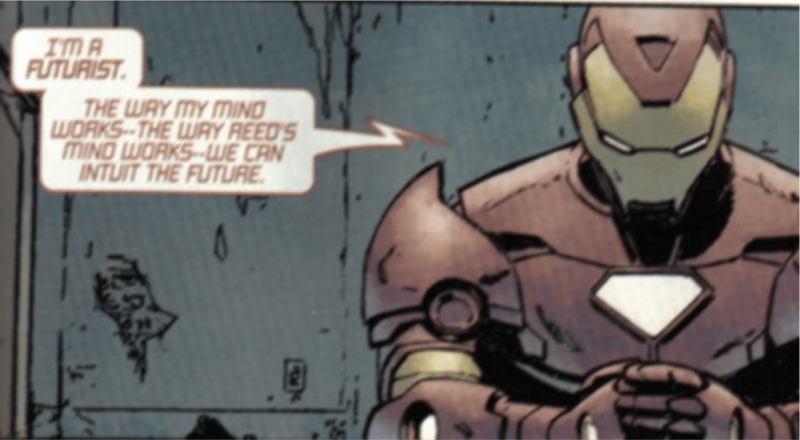 You have to have the Tony-Stark ability to intuit the future if you want to make it big as a startup. If we decided in 2005 to be an Employee Survey company, then chances are, we’d now be one of the many players doing this. (and with Survey Monkey and Mail Chimp being offered free, we’d be deathly afraid now) We’d be a small, or at best, a mid-sized fish in the pond. Betting on something we thought people WOULD buy made it easier for us to be a bigger fish in the pond. It was also a bit easier for us to market: there was less competition, and we could concentrate on building our product and customer base. The caveat is clear though: you have to build something people will buy. Much easier said than done. Yes, you can bet on the future, but you also would need to account for present concerns, like you know, food and stuff. One way you can do this is to diversify your product portfolio with products which YOU KNOW people will buy now, while working on the killer FUTURE NEED idea in the background. This is one advantage of funding versus bootstrapping. If sufficiently funded, you CAN pour all onto your future bet. While we have closed our Websurv line, I am mightily grateful towards it because that was what kept us afloat during a crucial time. Next PostElectrifying JGL Mini-Meetup Last Night!